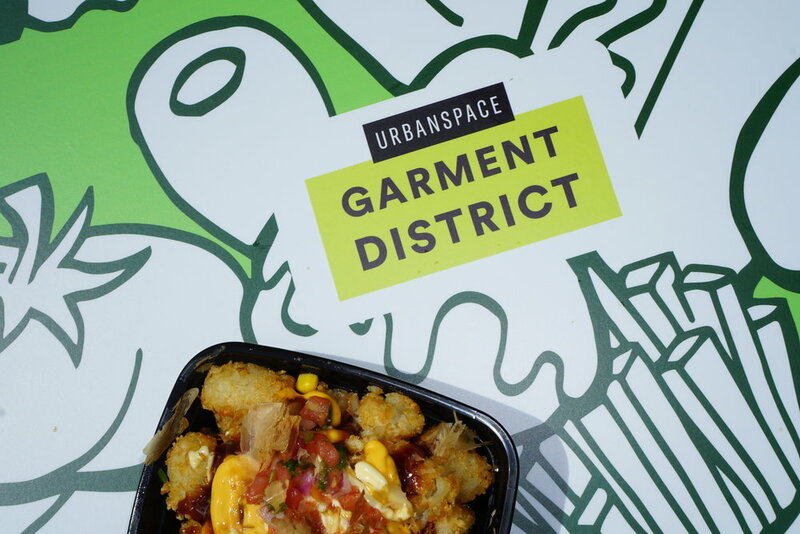 Urbanspace's renown Garment District pop-up market is back with 14 must-try food and beverage vendors with an art element that will take you from the heart of NYC to a tropical oasis. Made possible by the Garment District Alliance, artwork titled Aurarauna, can be found through the market that stretches down Broadway between 41st Street and 39th Street. The word Aurarauna represents the blue-and-gold macaw and the visual can be seen on the sidewalk stretching through the market.